Bol Bol’s season with the Oregon Ducks most likely is over. According to Matt Brehm, he currently has a stress fracture in his left foot. At the moment, it is impossible to predict Bol Bol’s career; his game is too immature and his skills are underdeveloped. His physical characteristics in terms of size and wingspan make him appear dominant offensively during most college games, but he will likely struggle to get any of these kinds of finishes in the NBA. Bol is a highly-talented big man that has all the attributes of a unicorn five – a center with good shot potential while also being a rim protector. His limiting factors so far appear to be his lack of willingness to play physical, an apparent lack of interest on defense and his low basketball IQ. Of course, a player with this length and shooting touch – which Bol certainly has – must certainly be considered an exciting talent. For this reason, many NBA teams will therefore be willing to invest in an early draft pick for him. However, big men who have such serious deficits on defense often have a rather sobering NBA career. This certainly is a risk for Bol. 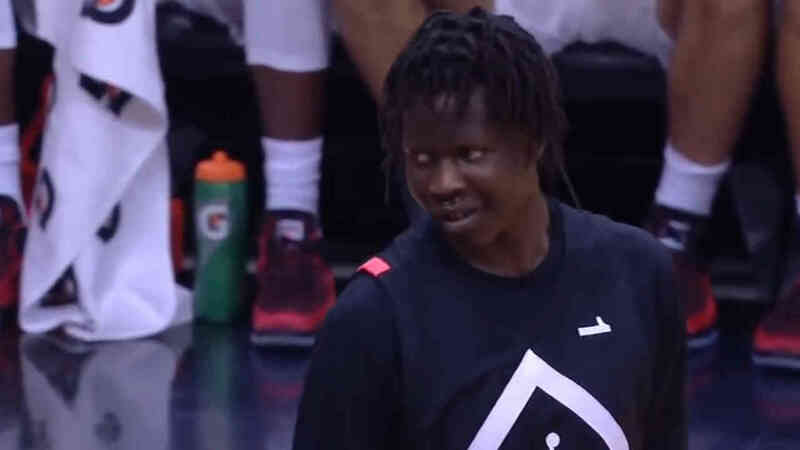 The team that drafts Bol Bol will have to accept a long development time similar to the Orlando Magic with Mohamed Bamba. He will not be able to help out right away since Bol’s lack of defensive skills will have too much of a negative impact at the NBA level. Bamba dominated defensively in college but he still has difficulties keeping up physically in the NBA. How difficult will it be for Bol since he already often looks very bad with his Oregon Ducks? Since Bol has lots of room for improvement defensively, he will have to define his game via his offense. We could use Kristaps Porzingis as a role model. With his extremely long and slender build, his biggest weapon is his shot. However, the Latvian’s footwork is much better than Bol’s and was already much better when Porzingis came into the league. This underscores the long path Bol Bol still has ahead of him. Bol Bol is the son of the late NBA player Manute Bol. He was born in Sudan but has been living in the US since he was 2 and is an American citizen.